The Key Stage 3 Music Curriculum at KAA has been designed to encompass elements of the GCSE Music syllabus, allowing our musicians to be immersed in ‘junior versions’ of advanced musical concepts and disciplined forms of thinking. Working back from the key content that students need to be able to achieve the highest grade at A Level and in turn the key content that students need to achieve the highest grade at GCSE. From this it is possible to identify what a student needs to be able to do by the end of each year, starting from year 7, in order to reach this end point and achieve the highest grades at GCSE and A Level. The music curriculum at KAA explores the key concepts of music, focusing on rhythm, melody, harmony, pitch, dynamics, texture, tempo, timbre and structure, through the skills of performing, composing and listening. A deep understanding of these concepts are essential in order to achieve excellence in GCSE and A-Level Music. We believe that our programme of study will develop confident and musically articulate musicians, who possess the desire to become excellent at everything they do. The entire Music curriculum has been designed, and is structured around a series of ‘fertile questions’ which explore over a period of lessons. 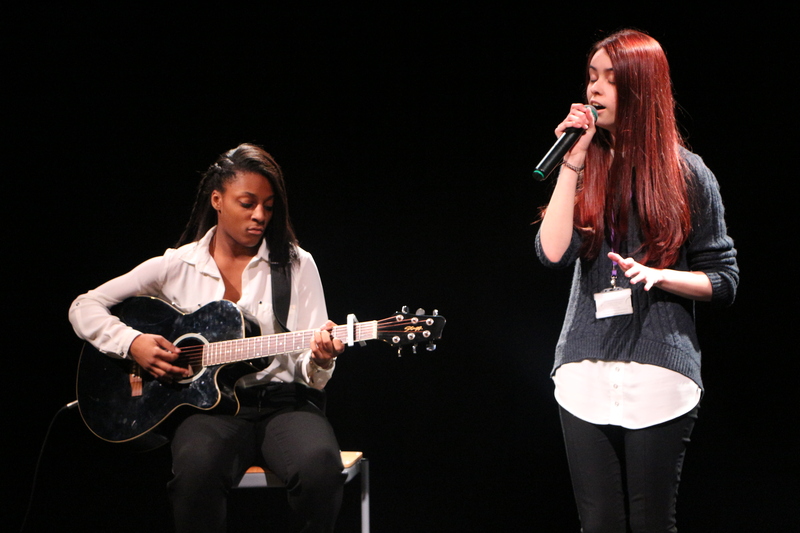 In year 7 pupils start by developing their singing skills and their understanding of the musical elements. They also undertake a project on the keyboards, learning two-handed technique as well as learning about African Drumming in the Summer Term. In year 8, pupils build on the knowledge and skills they developed in year 7 and start to undertake more challenging and thought-provoking fertile questions. In year 8 pupils undertake projects on the keyboard, learn how to play and tune the guitar, and compose music using loops in GarageBand on MacBook Pros. 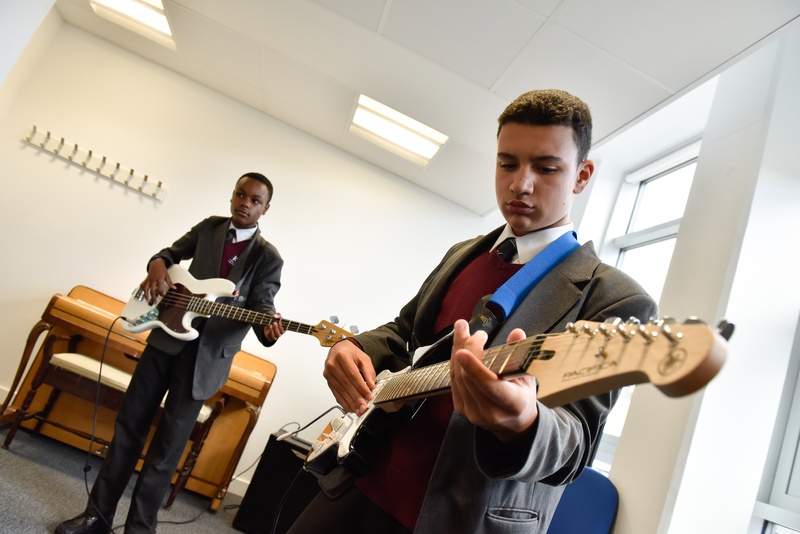 In year 9, students follow a course designed to ease the transition into GCSE Music. The first term, students develop their keyboard skills and perform solo before Christmas, then students undertake a two term composition project exploring the software Logic Pro and developing their own composition skills. Students sit a practical music assessment at the end of each term. The table below outlines the focus of each assessment. Students are not set homework on a formal basis in music although homework can be set occasionally at the discretion of the teacher. As musicians, we are always looking to further develop and refine our performance skills, and we encourage all pupils to practice at least 3 times a week (30 minute sessions). The music area on KAA Online includes website links, videos, worksheets and other resources to support practice for each fertile question. We strongly encourage all students to learn a musical instrument at KAA. Every week, a team of professional instrumental tutors visit the school and deliver 1-1 lessons in our suite of fully-equipped practice rooms to students who have opted into the programme. At the moment, piano lessons are the most popular, followed by guitar, drum kit, singing, violin and saxophone. Other instrumental lessons are available upon request. Please email Mr Rigby for more information including our pricing plan: p.rigby@kaa.org.uk. 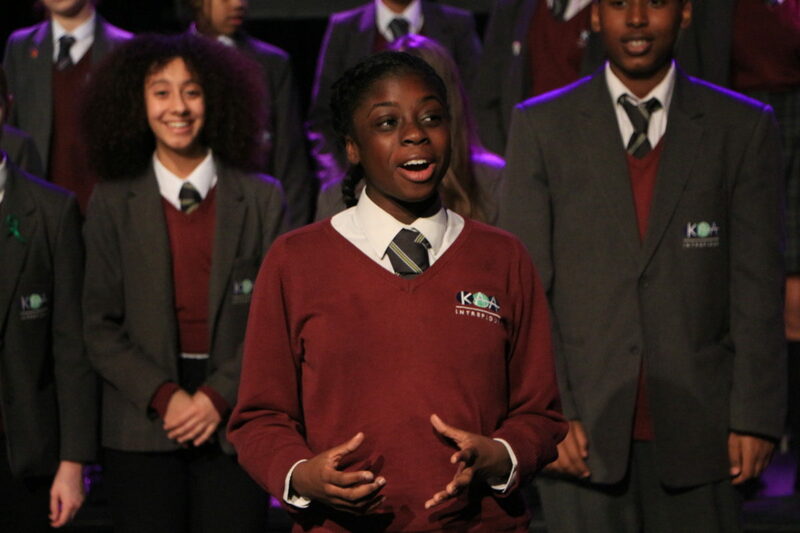 KAA is a Music Mark School Member in recognition of the value the academy’s places on music.